Does your horse habitually twist and shake his head, for example after jumping a fence? Then he may be displaying post-inhibitory headshaking. Some of the motivations for headshaking can be impatience, anxiety, pain or pathological disorder. A vet check for a physical or neurological issue is always advisable. Post-inhibitory headshaking is a type of behavioural rebound. This is in the context of behavioural or ethological needs that are specific to individual species and necessary for maintaining their optimal wellbeing. Think about what happens when stabled horses are turned out in an arena or paddock. Often, they will run around for a few minutes first, because their species-specific need to move around – including trotting and cantering – was prevented for a number of hours. These rebound behaviours indicate that stabled horses become frustrated by the inability to perform their species-specific movement behaviours through exercise. 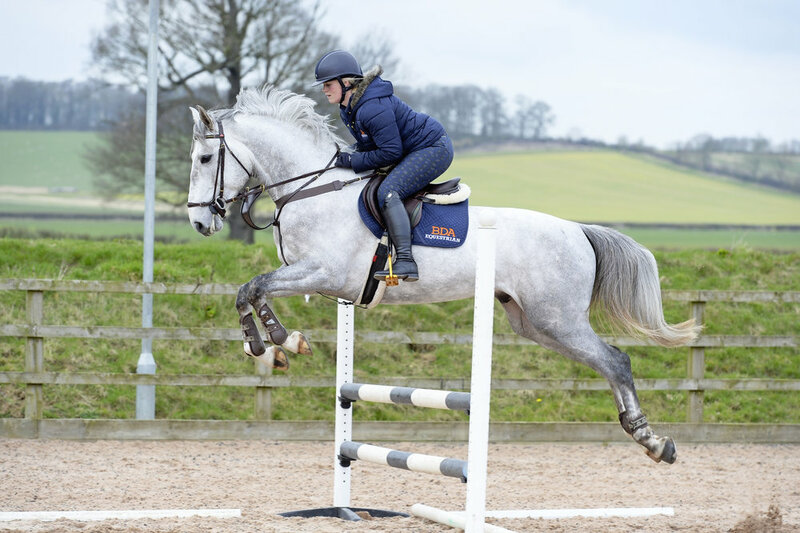 This can also occur if a horse is held together on a strong contact or tight rein during jump schooling, often the only time the rider decreases or even loses contact is on the landing or away phase of negotiating a fence. Sometimes this might also be displayed by a buck or change of rhythm. Loose school, lunge or long-rein before riding. If time is tight, increase turnout time instead, including turnout before riding – perhaps while you do other jobs. All of these activities afford opportunities for the horse to express species-specific behaviours and thus reduce the likelihood of rebound. During schooling sessions, take regular, frequent breaks on a loose rein. Warm up with a relaxing hack before schooling. Find out more about behavioural headshaking in the full article in issue 449 – available here.